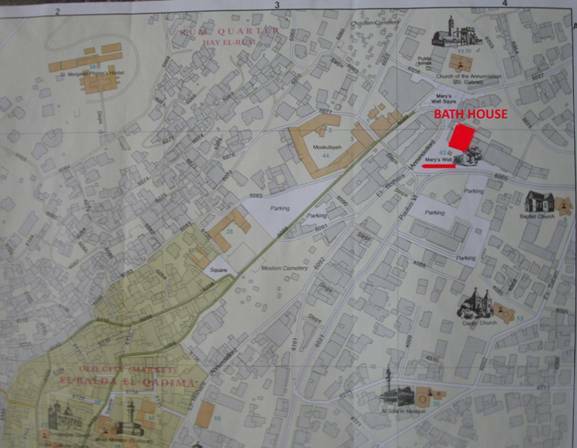 While we have included a vast amount of information on this website about the bath house, the only way to truly experience it is to visit the bath house yourself. Our tours will take you through the full history of the excavation, and you will get a chance to actually touch the ancient walls, look into the oven, and crawl through the arches of the hypocaust. You will get a sense about what it was like during the time of Jesus, and you will actually be in the rooms of the bath house where it is said that Mary bathed. The fees from the tours directly help pay for the preservation of the site, and help us to fund future excavations and the dream of restoring the site. English, French, Dutch, German, Hebrew and Arabic. 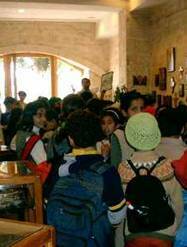 Private tours for individuals and families (up to 4 people) for a total cost of 120 shekels, and no reservation is required. 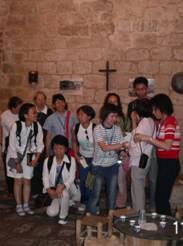 For tours for groups of more than 4 people, we charge 28 shekels per person. Advanced reservations are preferred as to insure your time slot and special accommodations you may desire. You may also come with no prior reservation, but may need to wait for other tours to finish. 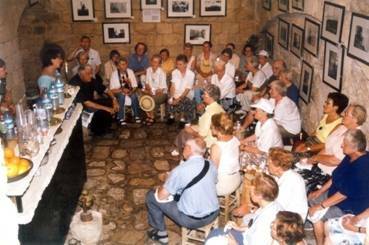 Special catering, music and other possibilities are available for group tours; contact us for more information. We can host school groups and other special events as well. If you are a tour operator or travel agent, please contact us for information appropriate to you.